Over the years, we’ve watched many exceptional dancers grace the big stage and dance floors showing their talents and in that regard, the list of female dancers with the best move would be incomplete without Janette Manrara making the cut. She is an American choreographer/dancer, famed for her great dancing skills around the globe. Right from childhood, Janette knew she was born to entertain and go places with her dance steps. Today, she is a household name among dance lovers, having participated in several prestigious competitions that really helped her to become one of the most pursued talents in the showbiz. Manrara was born in Maimi, Florida, on the 16th of November 1983. Her parents, whose names are not known to the public, are of Cuban ancestry. Similarly, further details about her family background and siblings are not readily available right now. The dancer studied finance at the Florida International University, after which she worked in a bank for seven years while taking up ballroom dance training. Manrara was originally a Salsa dancer. She learned the social dance from her Cuban family. However, she started performing in musical theatre at the age of 12 and later enrolled at a dance school at the age of nineteen, learning jazz, hip-hop, pointe, ballroom, and ballet. Her name started ringing a bell in the industry after she auditioned, participated, and emerged as one of the eight finalists in the American version of So You Think You Can Dance in 2009. Although she put a brilliant performance at the competition, she was sadly eliminated along with contemporary dancer Jason Glover in the 7th week. Janette turned pro in the year 2013. In the same year, she auditioned and competed in the British TV show, Strictly Come Dancing along with fashion designer Julien Macdonald. Sadly, they were eliminated in the early stage of the competition. Manrara made it again in the 12th series of the show, but this time with actor Jake Wood. And following an incredible performance, they got to the semi-finals and eventually finished in 5th place overall. Since then, she has been a part of many dance competitions, including Christmas special, Strictly Come Dancing Live tour (2016), Children in Need special (2016), as well as the national Strictly Come Dancing – The Live Tour, which took place in 2017. In addition, the Florida-born choreographer is a principal dancer at Glee, a musical TV series. She was among the Burn the Floor US cast that toured the United States from late 2010 through May 2011, having debuted her Burn the Floor – West End on 21st July 2010 at the Shaftesbury Theatre, London. Janette is said to have also displayed her dancing skills at the Academy Awards. The choreographer is happily married to her long-term partner Aljaž Skorjanec who is also a professional dancer. The couple got connected to each other during their worldwide tour with the Broadway live dance show, Burn The Floor. Aljaž and Janette Manrara eventually tied the knot in the year 2017 and have remained married since then. The two are not only sweethearts but dance partners, having performed severally on international stages, including the BBC Show, Strictly Come Dancing, in 2013. Born on 19th February 1990, in Ptuj, Slovenia, Janette’s husband holds the record as a 19-time Slovenian champion in Latin, Ballroom, and Ten Dance. The Slovenian is known for partnering with professional dancer Valerija Rahle Mbanwi between 2000 and 2008. He loves movies, basketball, and is a big supporter of the Barcelona, Catalonia, Spain-based football club, FC Barcelona. As per their professional engagements, sometime in 2018, the couple announced dates for their 2019 UK Tour Remembering The Movies. 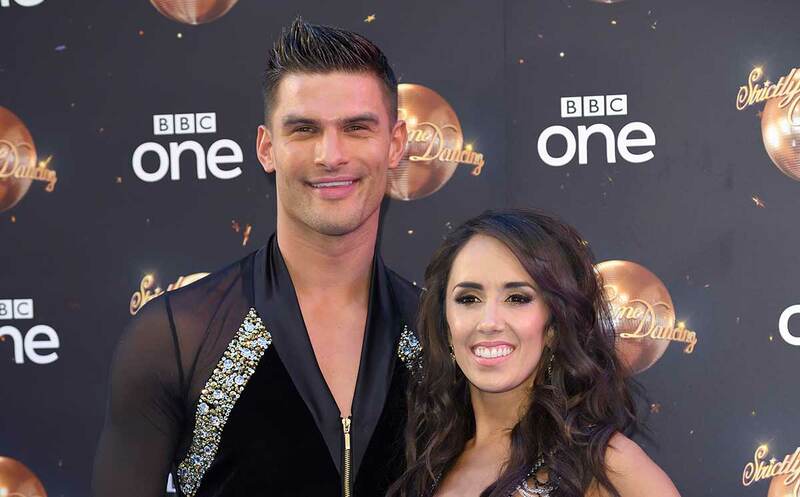 Also in the same year, precisely in October, Manrara disclosed that she would be teaching and banding together with her husband at Donahey’s Dancing with The Stars Weekends in the year 2019. At the time of writing this report, the dancers have not given birth to children. They seem to be very passionate about their dancing career. It is believed that the Cuban beauty has made a fortune from her flourishing dancing career. Currently, the exact amount she has garnered through her dancing skills, as well as the value of her assets, are not open to public scrutiny but we believe they are sizeable enough to take care of her bills. Janette Manrara doesn’t belong to the pack of tall dancers, rather she makes up for her petite body build by wearing high heels. The American choreographer is 5 feet (1.52 meters) tall and weighs 51 kilograms in body mass.